After several months of clueless guessing, we now know the official name of the next Android version! 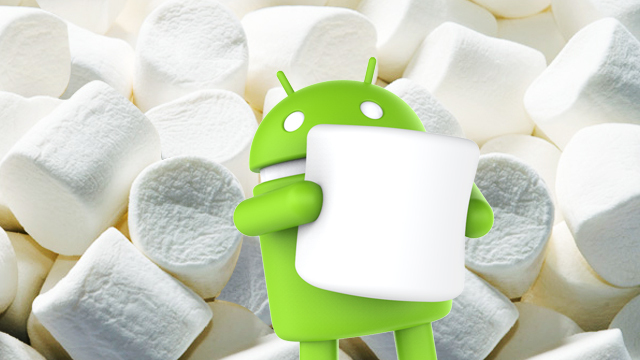 In its developer blog, Google confirmed that the next iteration of its hugely popular mobile platform will be called Marshmallow. Yep, as in that soft, gooey treat often portrayed as being roasted on a campfire or sprinkled on ice cream. For the uninitiated, Google's Android alphabetical naming scheme is based on the world's most popular sweets. The most recent version, Lollipop, was launched late last year, and its successor, Marshmallow, will reportedly hit mobile devices later this year, probably sometime between September and November. In case you want a little bit of Android's sweet history, here are the names of the previous versions starting with Android 1.5 a.k.a. Cupcake (the first two versions, Alpha and Beta, were internal releases and, therefore, not made commercially available). Google is so far keeping mum about the specific niceties Marshmallow will have, but rest assured we'll keep you updated. In the meantime though, here's a behind-the-scenes video of the giant Marshmallow statue you just saw.